It’s here! 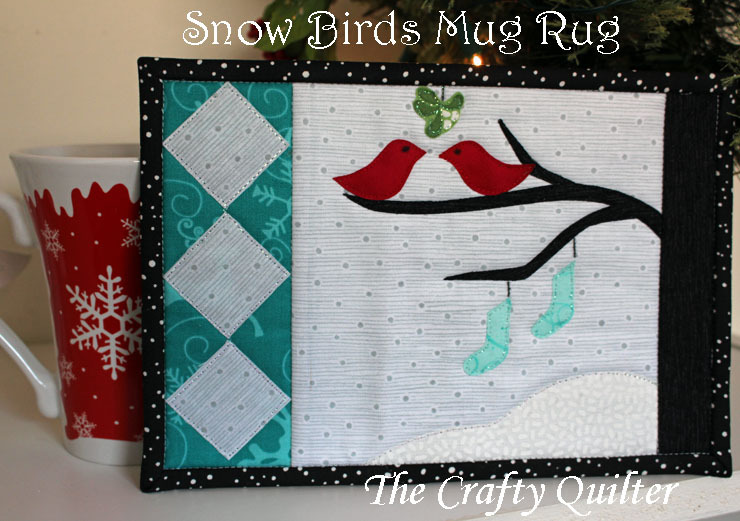 The last project for my Christmas Once a Month series is a mug rug that is little in size but big on cuteness! If I hadn’t been taking pictures along the way, I could have made this in an hour and a half. Done! 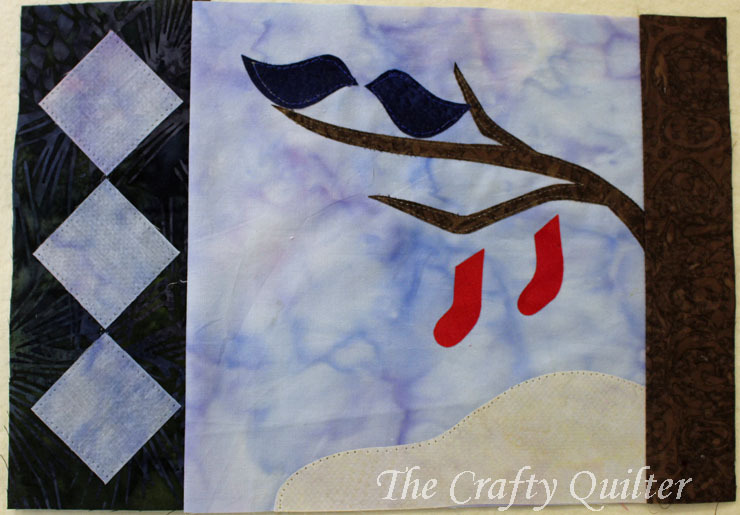 There is very little piecing and the applique is pretty easy and no fancy stitching either. Just straight stitches about 1/8″ inside the raw edges of the applique. I even used a permanent fine-tip marker to add the bird’s eyes and stocking strings. Easy peasy! 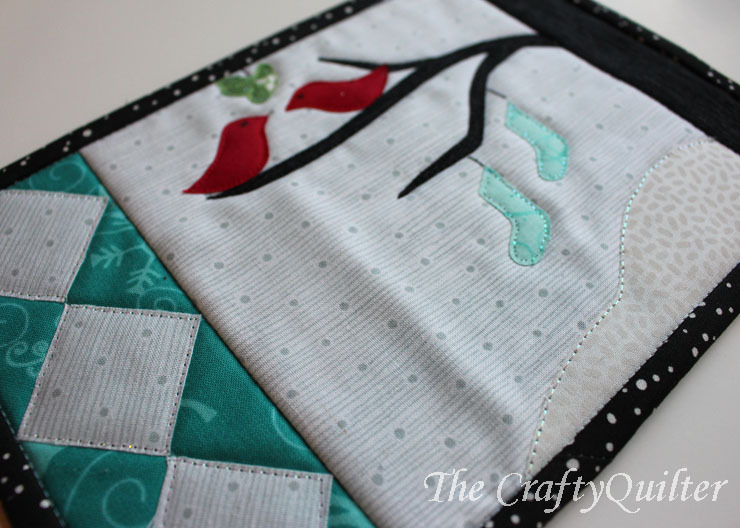 And you do the applique stitching and the quilting at the same time! I don’t usually use a straight stitch on raw edge applique, but the pieces are so small that it gives it a more uncluttered look. And I don’t think this little piece is going to end up in my will, if you know what I mean. It might fray a little bit after some wear and tear, so if you want to zig zag the edges, then go for it. I used “Sliver” thread by Sulky for some of the stitching. You can see it in the snow and stockings above. I love the shimmer that it adds to the applique! 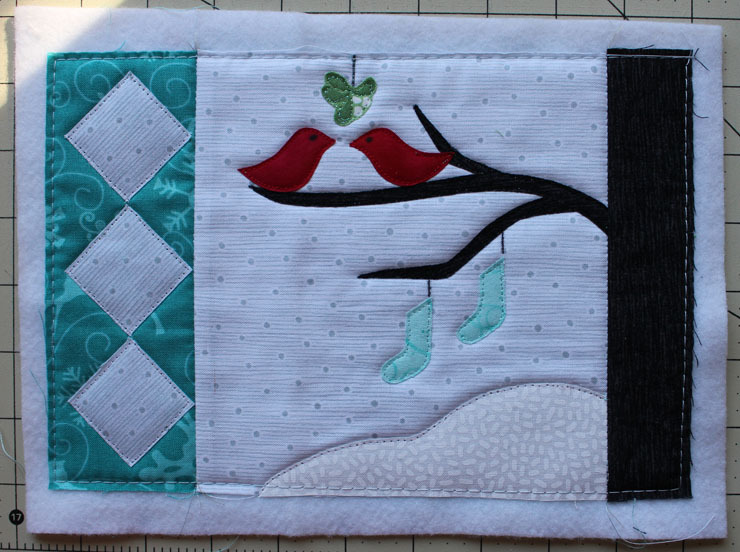 The mistletoe at the top was an afterthought, and I happened to have the perfect fabric for it. I would probably lower the placement of the tree limbs and birds in the future to allow more room for the mistletoe. I made my first “practice” version out of batiks. Do those birds look like a mustache in the trees? (Thanks for the idea, Jan). I think the three on-point squares would be a perfect place to add a monogram or spell out “JOY”. 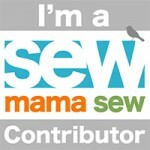 Hmmm, maybe I DO need an embroidery machine! I hope you can find time in the next few days to make one of these little mug rugs in time for Christmas. I’m thinking you could easily make a dozen in a day! Well, maybe with the help of some elves. And there’s always next year! Enjoy! Just precious. Thanks so much for sharing. Perfect for gift giving. GRACIAS,muchas felicidades en este nuevo año,y que realice muchas mas cosas lindas,sus obras son maravillosas. A Happy New Year dear Julie! 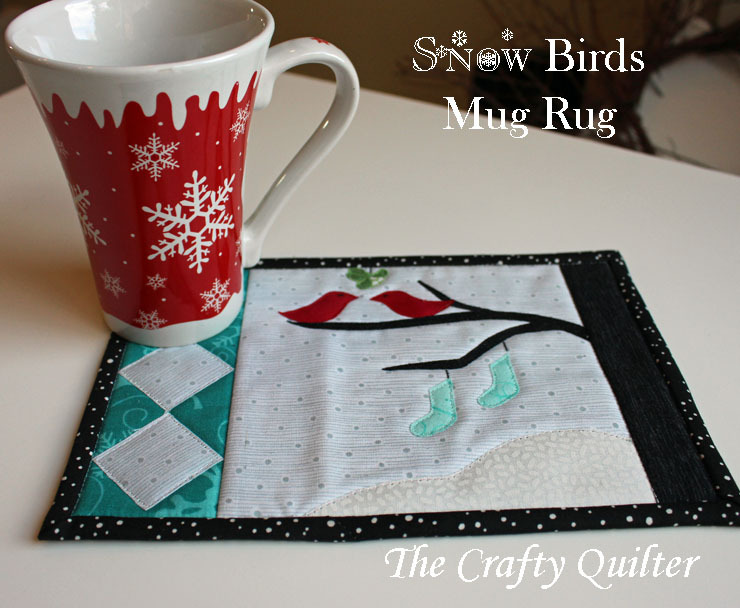 This little mug rug is so sweet and adorable!It is a great mug rug for Jan and Feb, too!! Thanks for the lovely patterns all year!! Thank you so much for this pattern! Love you color combos. What a delight! Merry Christmas! Thank you. This is a fabulous mug rug. That is so adorable! I love the colors and the contrast of the binding. I love the mug rug. So cute! Thank you for sharing. Wishing you and your family a Merry Christmas and a Happy and Healthy New Year! This is just adorable! Thank you so much. Are these going to show up in our stallings this year?! Cute Mug-Rug. Too late for me this year, but I can see it for Valentine’s Day with some minor changes. I’m going to try it out with hearts, etc. I always make something special for my Sunday School class each holiday. I’ve already made bunches of stockings with a small amount of machine embroidery. So cute!!! I am going to make one for sure…. Happy holidays, Julie. Lovely. Mug rugs are at the top of list for gift giving next year. I will be starting with yours first and use the came colors. We have a newly married couple in our family and your rug used their wedding colors. This is what I needed to get flying for next year. Santa always starts working the day after Christmas. Beautiful finale, Julie. Merry, Merry Christmas and I hope the new year gifts you with as many blessings as you have given to others…10 fold. Thank you so much for your great tutorials. I got in on the tail end of your Christmas Once a Month series and am sad you won’t be doing this again next year, but I understand that all good things must come to an end. Thank you for all your great ideas and beautiful handmade items. Love your blog and I surely hope that you will continue this program into the year 2014. 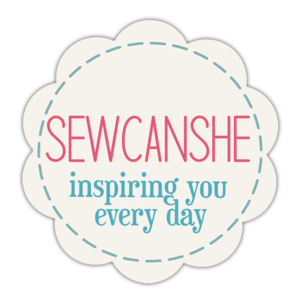 A quilting buddy and I have decided to do one project each month form our to do list but your blog would be our inspiration so please continue it. I love Eva’s idea of changing it for the season….. Not sure I will get one made for Christmas…. but Valentine’s day would be perfect too. 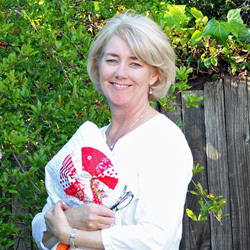 Thank you Julie for all you share with fellow quilters. 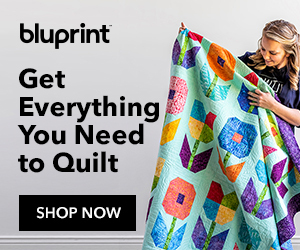 I am on a limited quilting budget and appreciate your lovely patterns. Merry Christmas and a Blessed New Year. So clever and sweet – especially the little mistletoe bough! 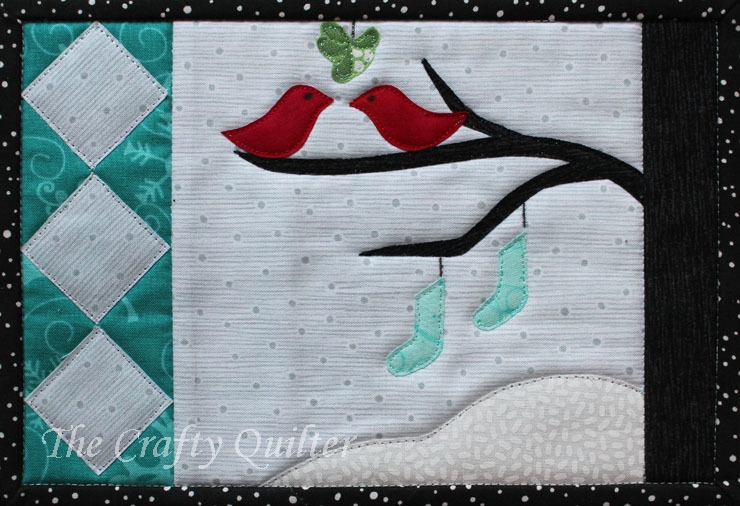 I love the simplicity of this design and the red birds against the snow and tree branches. 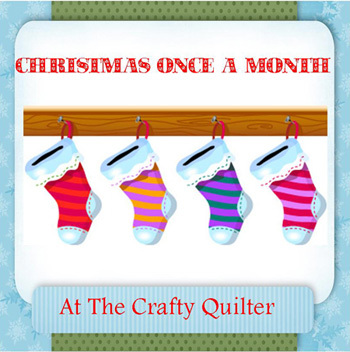 Maybe Santa will bring you an embroidery machine…you’ve been such a good quilter this year!!! Love it – what a little beauty. Thank you for this Christmas PDF gift. Merry Christmas and a happy New Year. 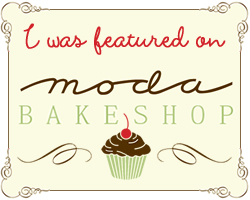 Hi…..I’ve recently started a website, the information you offer on this site has helped me greatly. Thanks for all of your time & work. “You do ill if you praise, but worse if you censure, what you do not understand.” by Leonardo DaVinci…. Love this mug rug Julie! Thank you and Merry Christmas! I’ve been enjoying your mug rugs and really like this one. Thank you!